The Control kite is incredible value for money given how reliable and durable the kite is. Even Flexifoil kites sold in 1972 still fly today like they did when they were first flown. The kite, flying lines and bar are very strong. The material doesn’t stretch so the performance of the kite always remains unparalleled. A great deal of care and effort goes in to the manufacture of the kite and the quality control to ensure you are delivered a first-class product is unrivalled. 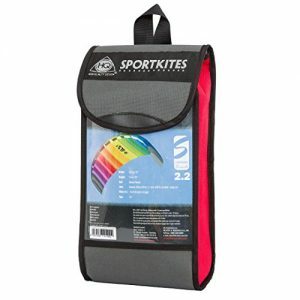 A cool looking kite stored in a stylish bag. The smaller sized 1.7m2 is perfect for all aged 14+, the middle size 2.4m2 is perfect for all aged 14+ and the largest size 3.3m2 is perfect for all aged 14+. The larger the kite the greater the power. 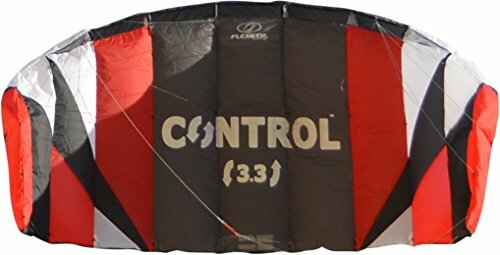 The Control kites will bring endless hours of enjoyment and will certainly make anyone who flys it, happy and bring smiles to their faces. 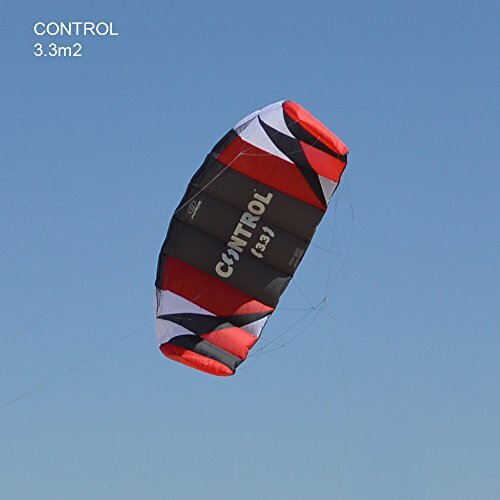 The absolute perfect kite to learn your kite skills ahead of learning to kitesurf. The kite is super-easy and safe-to-fly, with 18m colour-coded flying lines to ensure a convenient set-up and pack-down. The kite, flying lines and bar fit neatly into a high quality bespoke designed carry bag with handle and draw cord closure. When packed away, the carry bag measures 65x20x15cm so can easily be stored in the boot of the car, in the cupboard under the stairs, in the top of the wardrobe and fits neatly into your suitcase. 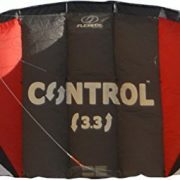 Here’s Why 1,684 People From 96 Countries Have Bought The Predecessor to the Control And Why More Than 380,000 People Have Chosen Flexifoil Kites Since We Invented Power Kiting in 1972, by Anthony Van Dort, CEO, Flexifoil International. In 2012, Sir Richard Branson chose Flexifoil to design the kites which powered his family, friends and himself from England to France and in so doing, achieve 3 world records. 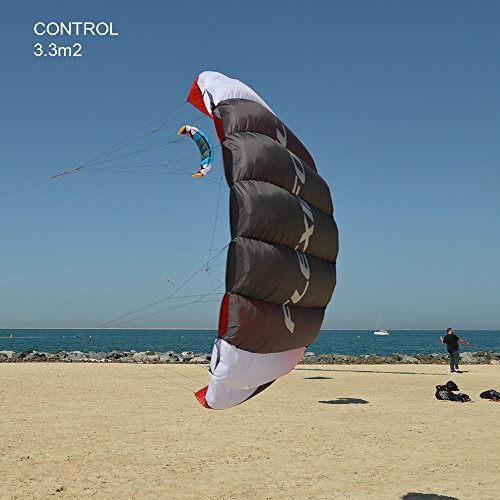 A survey completed by 1485 kiting enthusiasts reported quality as their number one priority when buying a kite. It is little surprise considering the number of reviews one reads online about lines breaking, straps snapping, lines fraying, kites tearing on minor impact and kites stalling to name just a few! 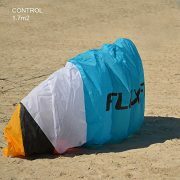 Flexifoil kites perform well in the lightest of winds and they are safe, reliable, strong. Flexifoil is a highly trustworthy premium brand – the absolute market leader in superior quality power and kitesurfing kites. The Control is the ideal kite for those who just want to get out and have fun whilst learning the skills ahead of flying a kitesurfing kite. 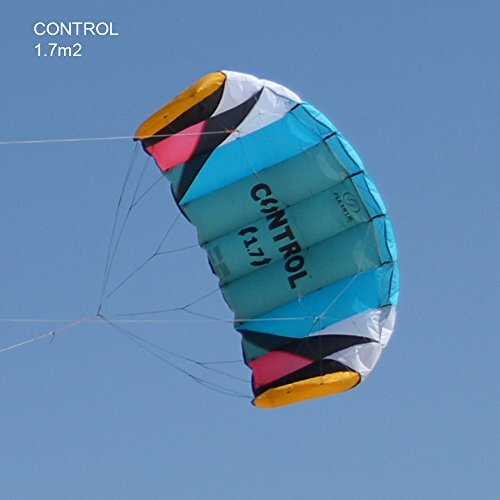 It is also the perfect kite for beginners because it is easy to control. It is also a very safe kite. We highly recommend adult supervision of youngsters just in case a strong gust comes through. And while 1,684 people have already bought the Control’s predecessor from Flexifoil, to give you absolute confidence in your purchase, we make you a promise by way of a 90-Day Money Back Guarantee. 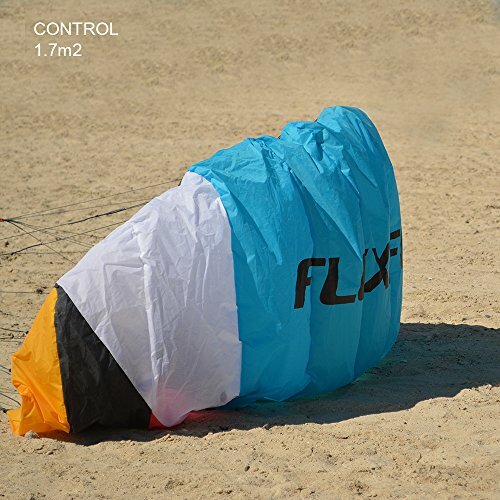 You buy a Control kite from Flexifoil here on Amazon for £139.99-£179.99 depending on which size you choose, you’ll fly it and we’re certain you’ll love it – but – if you’re in any way unhappy with your purchase, then we will give you all your money back within 90 days of your purchase – guaranteed! Power is delivered smoothly and progressively by the high performance canopy. 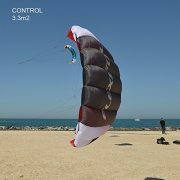 The power provided is enough to prepare a new flyer before they start flying kitesurfing kites. 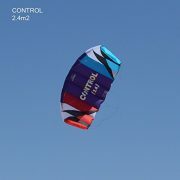 Designed to fly in almost every wind condition. The kites huge wind range means that even if the wind is low you can still gain valuable flying experience and fine-tune your kite skills. 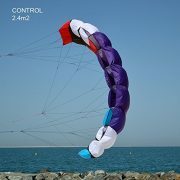 The perfect introductory kite to kitesurfing. 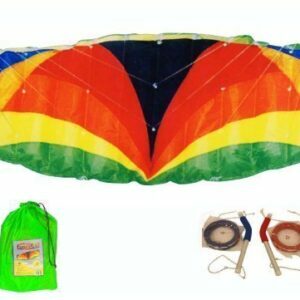 A quick yet stable kite which will certainly help towards keeping you fit and healthy in a really fun way. 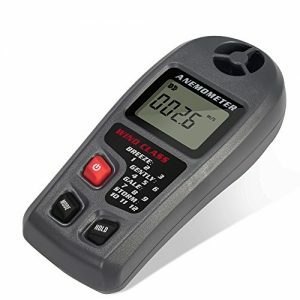 Would make a unique and ideal gift with the added benefit of Flexifoil’s 90 Day Money Back Guarantee. Flexifoil kitesurfing kites were the kites of choice by Virgin Founder, Sir Richard Branson, when he and his family achieved three kiteboarding world records in 2012.